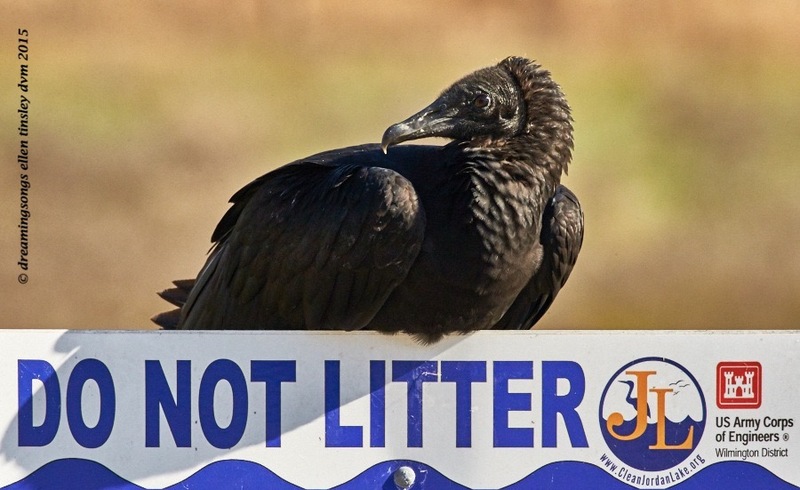 This black vulture has good reason to be worried: people keep leaving litter in his beautiful lake home. I see the vultures as part of nature’s maintenance force. I would hate to see what a world without the vultures’ uncomplaining work would look like. Please share the work of the Clean Jordan Lake Organization and the Army Corps of Engineers. Tell others of the concerns of the vultures, the bluebirds, the eagles, the herons, the ecosystem we call Jordan Lake. Posted in birds, Haw River, Jordan Lake, photography, raptors, vultures, wild birds and tagged as black vulture, buzzard, Haw River, Jordan Lake, Jordan Lake State Park, litter, raptor, trash, vulture.